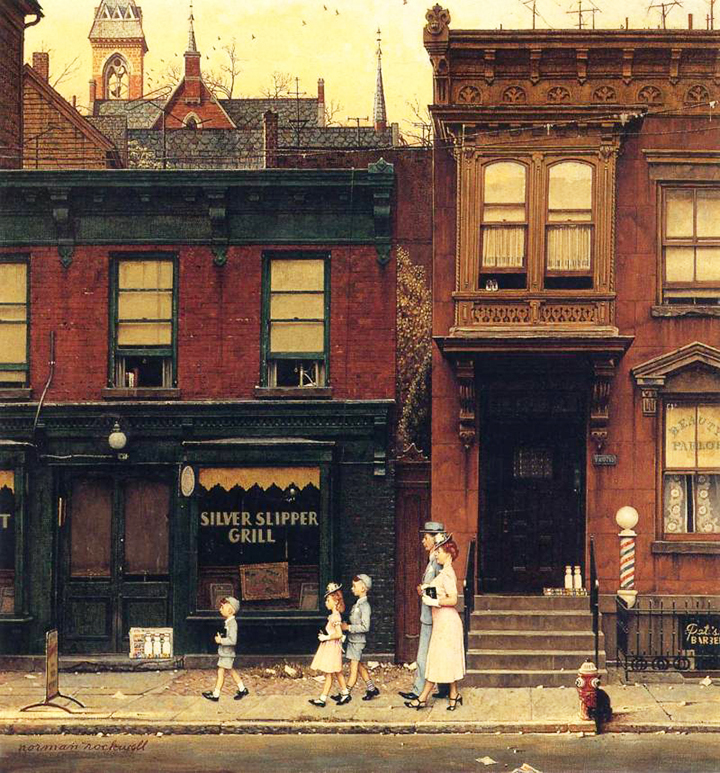 Sotheby’s New York will hold their American Art auction on December 4, 2013, including seven works by famed American illustrator, Norman Rockwell. Saying Grace, his cover for the November 24, 1951 issue of Saturday Evening Post, is expected to be the star of the group, with a pre-sale estimate of $15 million – $20 million. 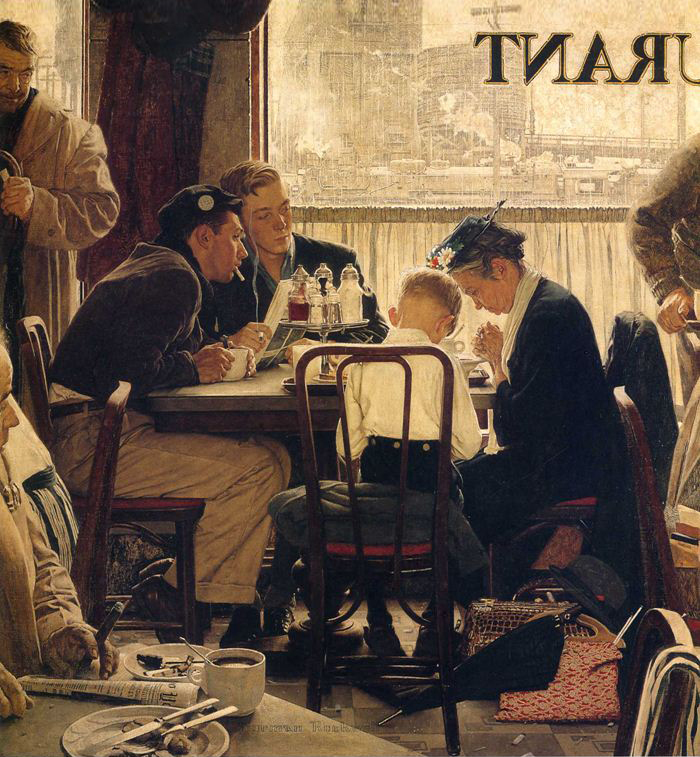 It depicts a Mennonite family saying prayers in a restaurant. It was voted a fan favorite in a poll of Saturday Evening Post readers. All of the works were the property of Kenneth J. Stuart Sr., who was the longtime art director of the Saturday Evening Post. Mr. Rockwell gifted him many paintings. For the last 20 years, they’ve been on loan to the Norman Rockwell Museum in Stockbridge, Massachusetts. Unfortunately for the museum, the new owner’s gains will be the museum’s losses. 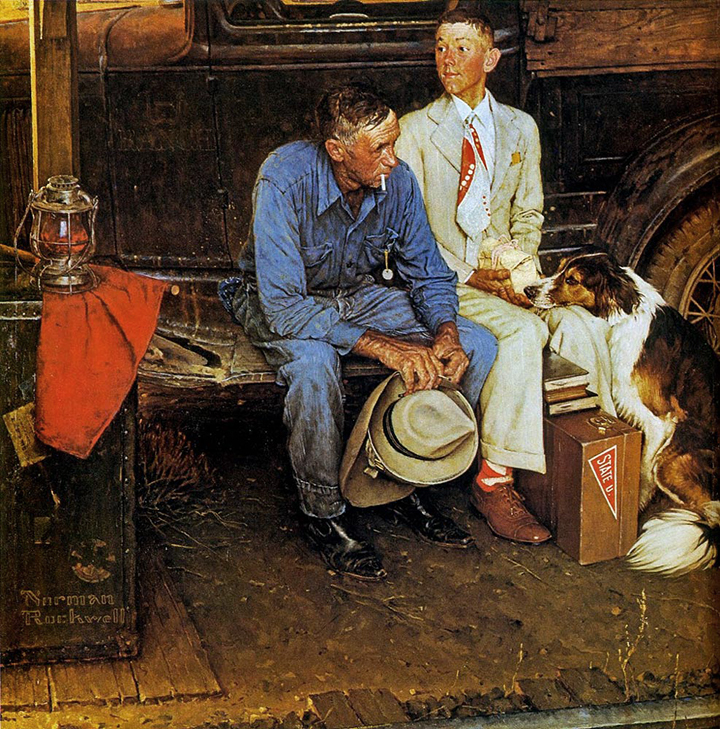 Some famous and fabulously wealthy clients collect Norman Rockwell’s works, including George Lucas, Steven Spielberg, Ross Perot and Alice Walton (of Walmart fame). They (and others) could easily break the Rockwell world record of $15.4 million, set at Sotheby’s in 2006, with the sale of Breaking Home Ties. The Gossips is expected to realize the second best price of the group. 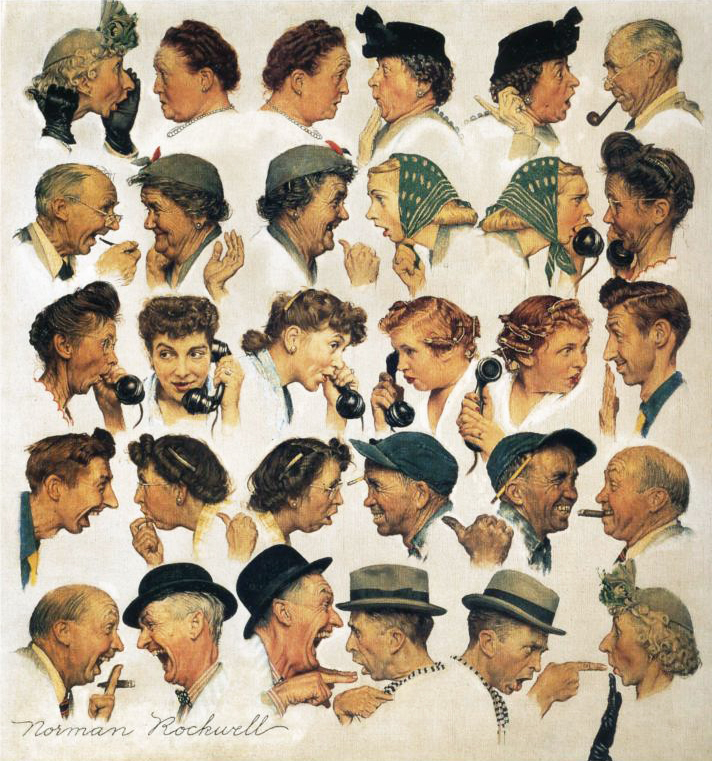 It depicts 15 pairs of people animatedly talking to each other. The inspiration for the painting came from a rumor that was circulating in his hometown of Arlington, Vermont, about the artist himself. Notice the first lady (upper left) is the same as the last lady (lower right). That’s Rockwell himself (bottom row, in the grey hat) chewing her out. Each person appears twice — first hearing the rumor and then turning around and spreading it. The moral of the story is “Don’t piss off a famous artist”. The third Rockwell masterpiece is Walking to Church. It will carry a pre-sale estimate of $3 million – $5 million. 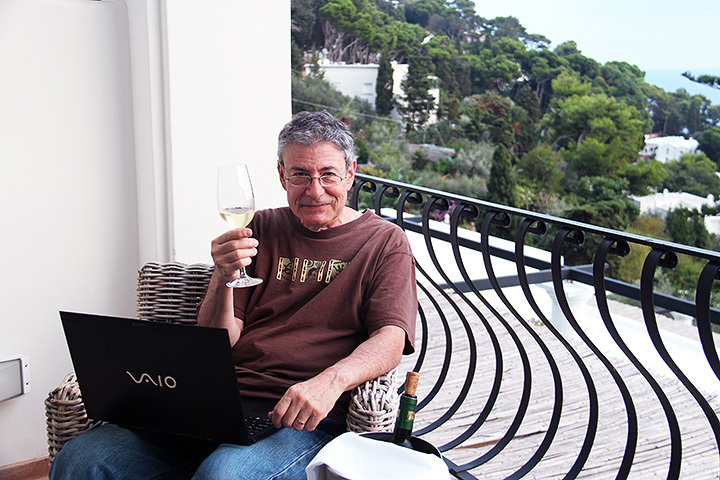 If you follow my blog, you know that Lia and I will be leaving shortly for Italy to attend the antiques fair in Parma, courtesy of the Italy-America Chamber of Commerce Southeast and the Fiere di Parma. As a result, there won’t be a Thursday post this week. 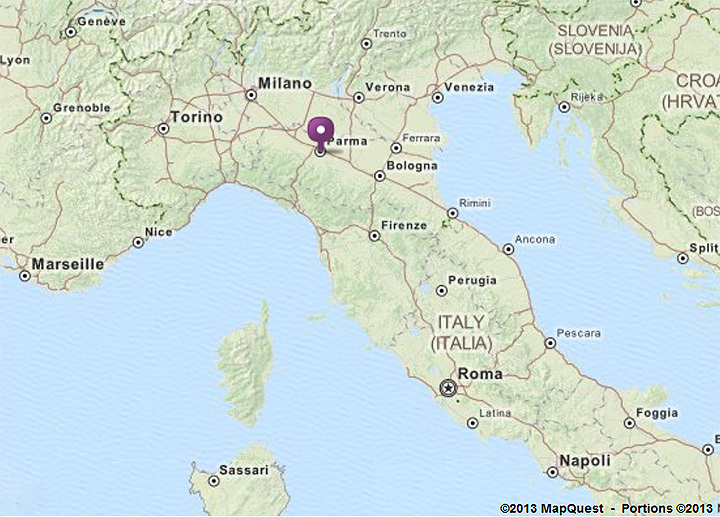 I’ll do my best to post from Italy next Monday, with a few local photos. My new, totally redesigned website is almost ready for prime time. Click here to view it. Then look around, try the links and use the site as you normally would. I need your reactions, so don’t be bashful. Please write to me and let me know what you think! philchasen@gmail.com or use the CONTACT form on the site. I expect there are bugs, which I hope you’ll let me know about. We’ll fix all the problems and then roll out the new site. Thanks!!! 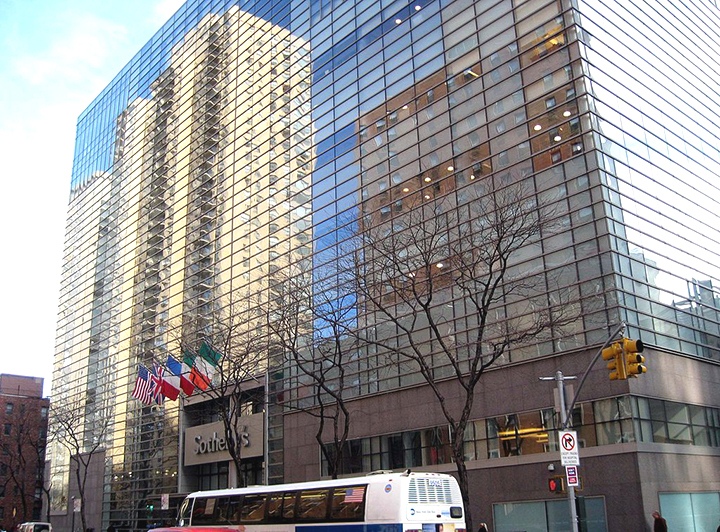 Sotheby’s has hired two real estate firms to explore the possibility of a sale of their Manhattan headquarters. The first firm, Eastdil Secured, will look for potential buyers. The second firm, Jones Lang LaSalle, will search for a site to relocate. Selling their Manhattan headquarters will not be new. After first purchasing the building in 1979, they were forced to sell it in 2002, after the collusion debacle with Christie’s. Sotheby’s continued to occupy the York Ave. building by leasing it back from the purchaser, RFR Holding LLC. Then in 2009 they bought the building back from RFR, after a substantial improvement in business. 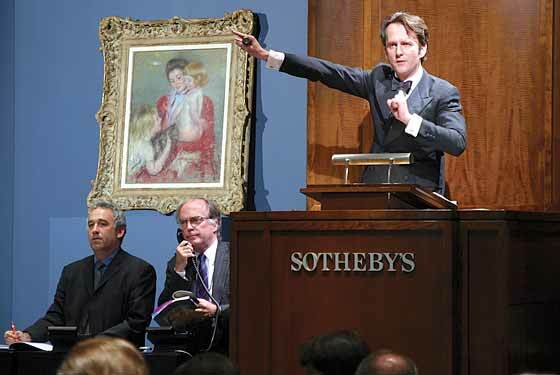 The pressure to sell now may be coming from Marcato Capital Management LLC, Third Point LLC, and Trian Fund Management LP, who collectively purchased 15% of Sotheby’s shares. They expect a sale would allow Sotheby’s to increase dividends and buy back shares. So where would Sotheby’s move? 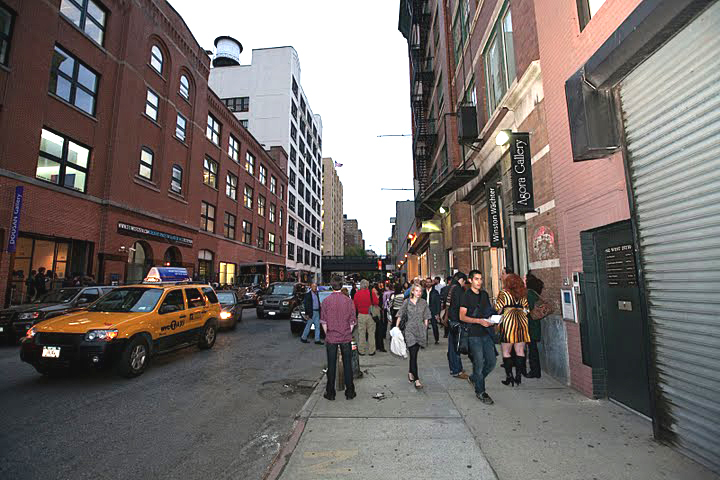 Chelsea is one possibility because of the concentration of art dealers. Personally I’ll be sad wherever they move. York Ave. is far from midtown and very convenient. Christie’s move to Rockefeller Center made every move by car very difficult. My new, totally redesigned website is almost ready for prime time. Click here to view it. Then look around, try the links and use the site as you normally would. I need your reactions, so don’t be bashful. Please write to me and let me know what you think! philchasen@gmail.com or use the CONTACT form on the site. I expect there are more than a few bugs, which I hope you’ll let me know about. We’ll fix all the problems and then roll out the new site. Thanks!!! 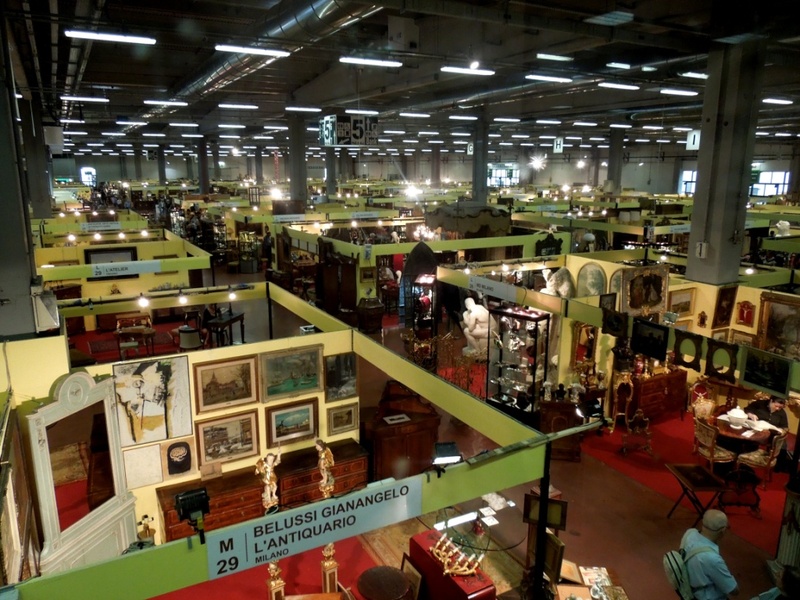 Parma, Italy is host to a huge, biannual antiques fair, every October and March. Known as Mercanteinfiera Parma (Parma Merchant’s Fair), the fair accommodates over 1000 dealers, in several buildings on the site. To put that into perspective, that’s more than twice the size of The Original Miami Beach Antiques Show. Many dealers travel long distances to exhibit there, from all over Europe. Over 50,000 people attend each fair, with the first two days for dealers only. In order to introduce American dealers to the Parma Fair, the Italy-America Chamber of Commerce Southeast (IACC), together with the Fiere di Parma organize a U.S. buyer’s delegation. 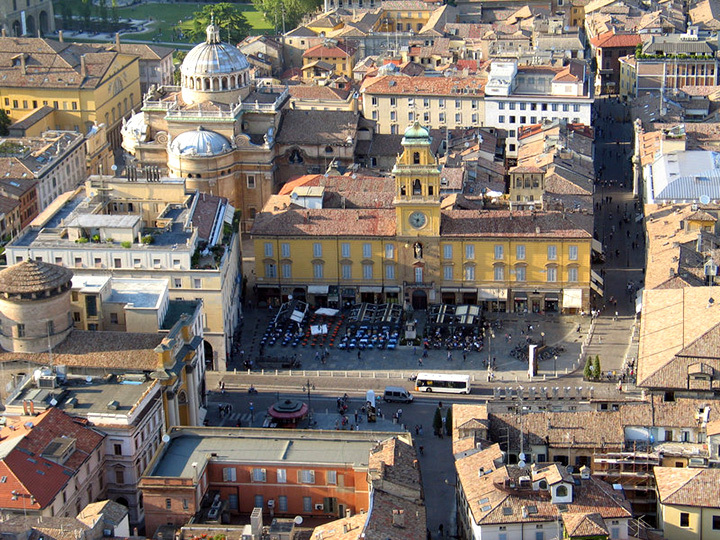 Their Hospitality Program includes free round trip airfare, 4-star hotel accommodations for four nights, transfers, admission to the fair, interpreting services, and a tour of Parma. To the best of my knowledge, you just have to be an active, bona fide antiques or modern dealer. They’re interested in bringing over dealers who will shop the show and likely make purchases. That’s all there is to it. You can add a partner or additional days to your trip (at your expense). You just have to arrive and leave from any cities in Italy. It’s too late for this October, but not for next March. Apply to Francesca Tanti by emailing her at tanti@iacc-miami.com. So did you guess? Lia and I are going to the Parma show this October, courtesy of IACC. We’ve added a few days to our trip for R&R, so it should be fun. I’ll write a blog after we return to let you know about our trip and the show. My new, totally redesigned website isn’t quite ready for prime time, but it’s ready for testing. Click here to view my new site. Then look around, try the links and use the site as you normally would. I need your reactions, so don’t be bashful. Please write to me and let me know what you think! philchasen@gmail.com or use the CONTACT form on the site. I expect there are more than a few bugs, which I hope you’ll let me know about. We’ll fix all the problems and then roll out the new site. Thanks!!! 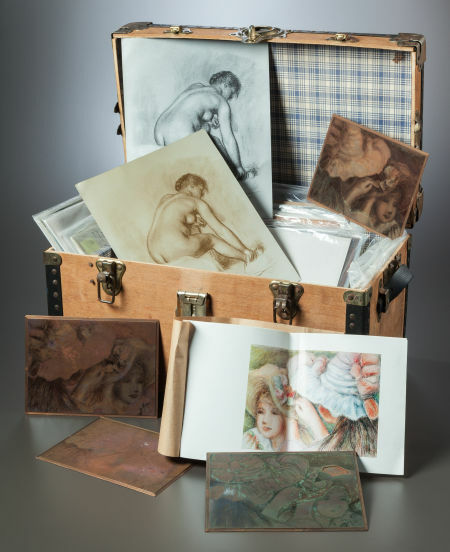 On September 19, 2013, Heritage Auctions will hold a sale entitled The Unknown Renoir, which will include fascinating memorabilia and personal artifacts. The 143-lot sale will include letters to and from Renoir, personal items, drawings, documents, and original plasters, to name a few. I suspect that some of the estimates will be blown away by enthusiastic bidders. Heritage expects the top lot of the sale to be #89115, an original plaster, which is not copyright protected. 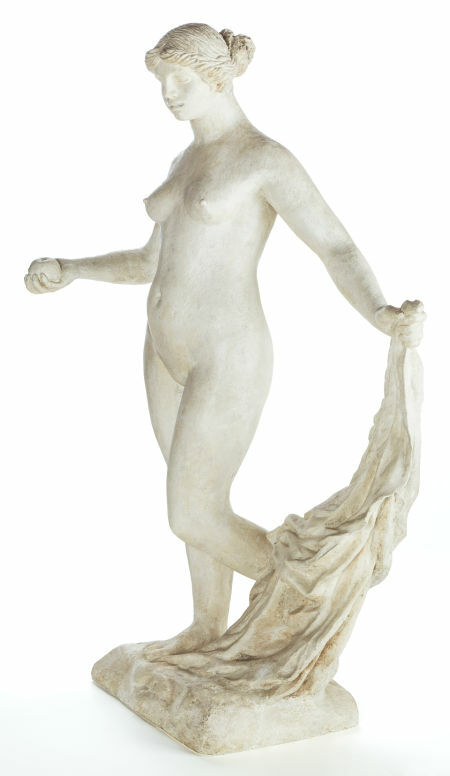 Entitled Grande Vénus Victorieuse (Large Victorious Venus), the pre-sale estimate is $900,000 – $1,000,000. 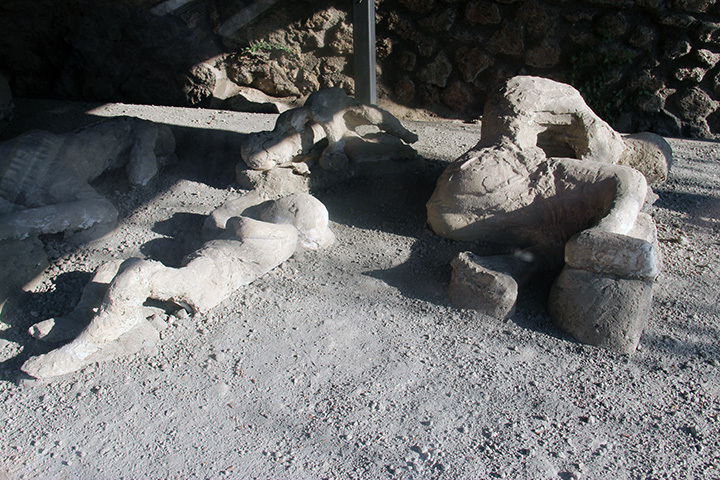 Whoever buys this lot will legally be able to cast it in bronze. If it’s done right, it could be quite remunerative, and surely interesting. Several other copyright protected, original plasters will also be in the sale, at significantly lower estimates in the $30,000 – $40,000 price range. They cannot be legally reproduced without permission from the copyright holder. Another lot that will likely lead to a flood of new Renoir etchings is #89109, 56 original copper plates. New etchings from original plates fall into a gray area. If they’re represented accurately, they’re worth a lot less than with a Renoir signature. The temptation to have a forger sign them will be difficult to resist. 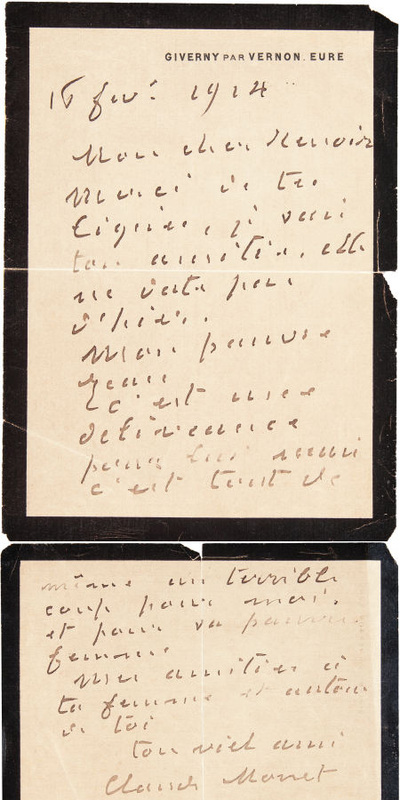 Lot #89081 is a really cool handwritten letter from Claude Monet to Renoir, dated February 16, 1914, thanking Renoir for his condolence note on the death of Monet’s son, Jean Monet, at the age of 46 — pretty amazing letter. My guess is the pre-sale estimate of $7,000 – $9,000 is conservative. For the complete catalog, click here. You’ll find many of the lots intriguing. Don’t have any shows for several weeks, so I’m devoting more time to updating my site. 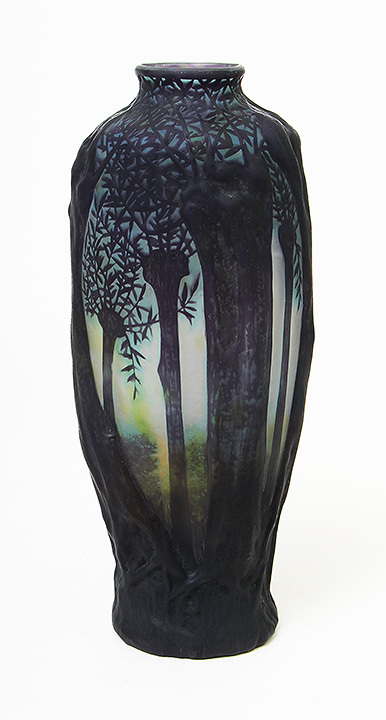 I’ve already listed about 10 new Tiffany, Daum, and Gallé vases. Click here to take a look. Then look for my totally redesigned website, with many changes and improvements, coming sooner than later. Can’t wait to show you and get your reaction! First a short follow-up to the Baltimore Summer Antiques Fair. Not only was the show a success, but it got even better afterward. I made a sale to a gentleman who was considering purchasing a major Tiffany vase at the show, but didn’t make up his mind until a couple of days afterward. Another gentleman, who had seen a French dueling gun set in my booth, called to buy it. Unfortunately for him (and for me), I had already sold it at the show. Follow-up show sales are few and far between, so it was very gratifying to hear from these two gentlemen. 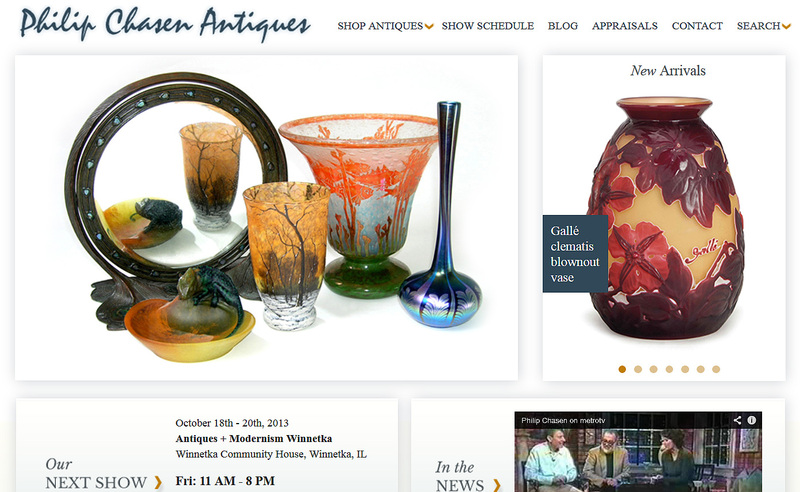 I had some good luck buying recently, including several Tiffany Favrile, Daum and Gallé vases. 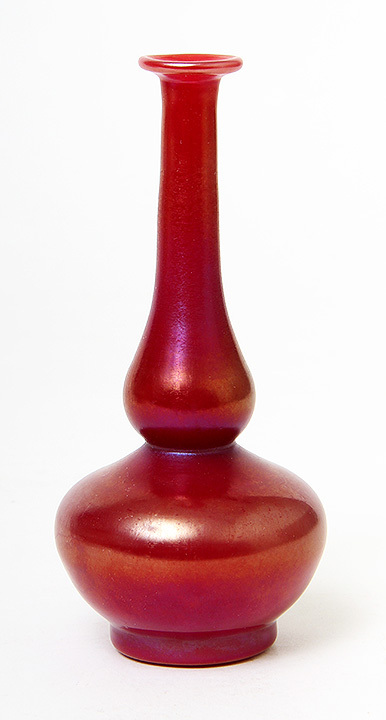 Of the Tiffany vases, a 5¾” red example, with a great shape, was one of the better buys. It’s really red, not orange, like some of the less desirable examples. 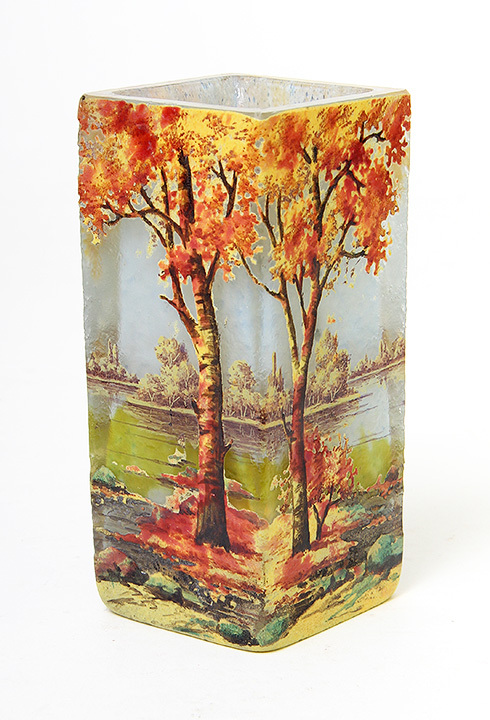 One of my fine Daum Nancy purchases was a fall scenic tumbler. 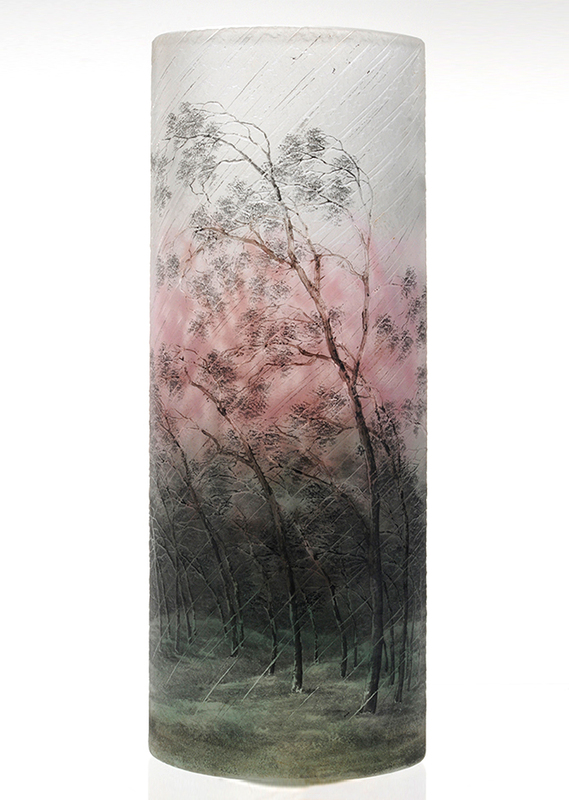 I love Daum fall scenic vases because of their great color and detail. This 4¾” square tumbler has vivid color. 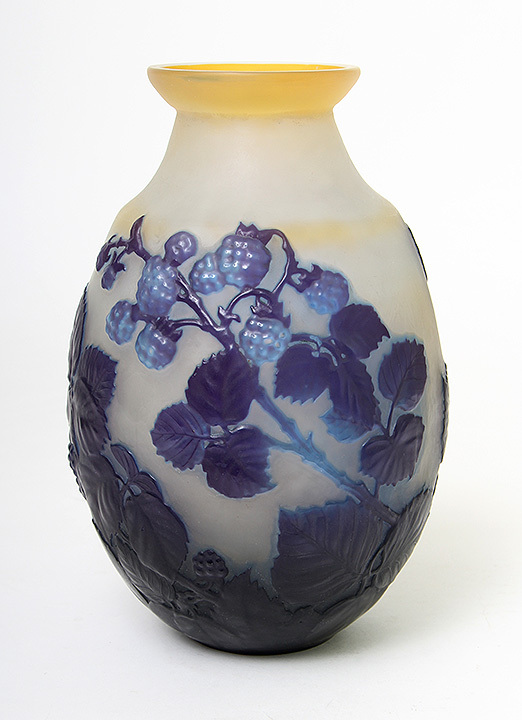 A fine blownout vase with blue berries was one of my better Galle purchases. 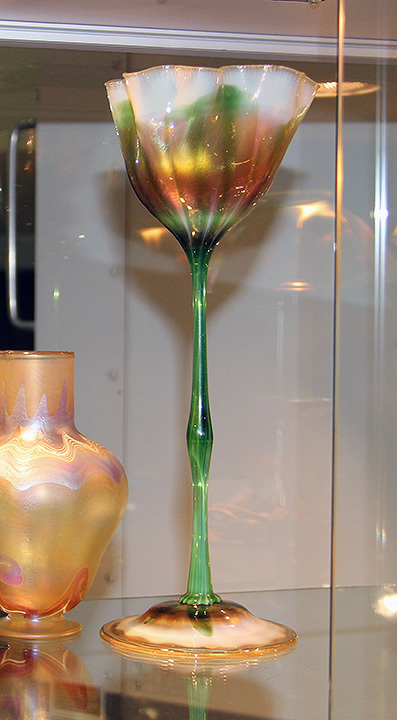 Galle blownout vases are rarer than standard cameo vases and as such are very desirable and easy to sell. Collectors from all over the world enjoy them.